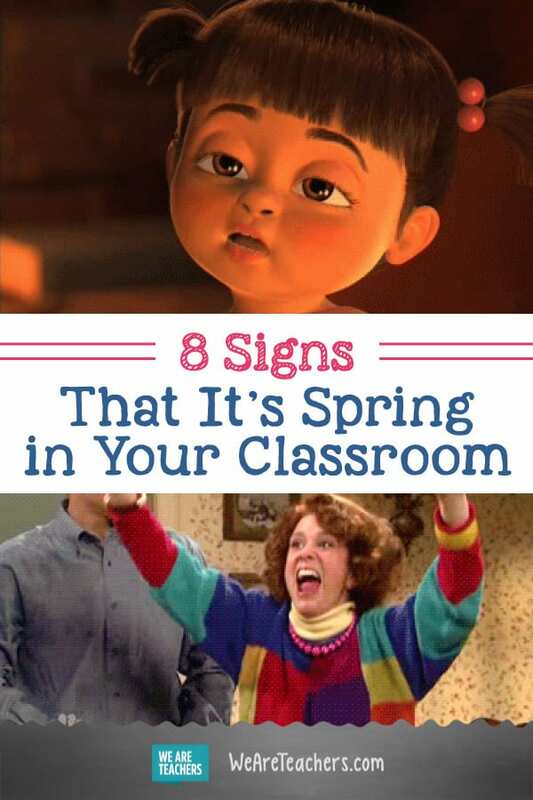 Spring is an interesting season in the life of a teacher. The semester starts out rough—January and February don’t make it easy to feel motivated. Then before you know it, it’s the end of the year! Excitement, restlessness, celebration, fatigue, and nostalgia combine in this explosion of crazy known as late April, May, and June. Here are the signs that you’ve found yourself in the middle of this madness. 1. You are definitely pushing the boundaries with the snooze button. I’ve begun saying “good night” out loud as I reach over to press the snooze button … for the fifth time. 2. Simple tasks are way too difficult. Replying to emails? Physically painful. Changing the date on the board? Nope. Can’t. Impossible. 3. The days are long, but the weeks are fast. This is maybe the weirdest part about spring, and I’ve found that it’s true even with my non-teacher friends. I constantly find myself shocked that the week is already halfway or completely over. I’m sure my student teacher has heard me say, “IT’S THURSDAY?! ARE YOU SERIOUS? !” at least three times this year. 4. “Why not?” becomes your response to just about everything. Should I plan a unit on the water crisis even though it’s not even in the science curriculum, and I teach language arts? How about a vacation this summer even though I have no money? A third donut at the department meeting? 5. You are more distracted than usual. Spring tends to distract in everyone. You may be analyzing a poem about young love with your class and find yourself telling them a story about how you had a gigantic crush on a boy in ninth grade, and when he asked for help on a homework question, you CLIMBED OVER A DESK to help him. And then you couldn’t even answer his question. 6. You find yourself giving a lot of pep talks to students. They’re also feeling the many emotions of spring, and you find yourself giving a lot of “you’ve got got this” advice on a regular basis. 7. You find yourself giving a lot of pep talks … to yourself. Before I grade anything, I put the stack of papers in front of me, take a deep breath, and remind myself that I can’t just give all 100s. The battle is constant, and sometimes, I’ll be honest, it’s a losing one. Everyone’s (well, almost everyone’s) mood gets a total overhaul when the sun actually becomes visible again. Suddenly, even though you’re tired, things aren’t nearly as bad as they were during DEVOLSON (the Dark, Evil Vortex of Late September, October, and November). Nostalgia takes over, and you realize how much you are going to miss these little boogers. Hey, you could do this job forever! What signs of spring did we miss? Come and share in our WeAreTeachers HELPLINE groupon Facebook. Plus, 23 end-of-year memes for teachers who are just hanging on .